As one of the nation's ten leading digital agencies, Huemor Designs is known for its engaging campaigns that help to get their clients noticed. 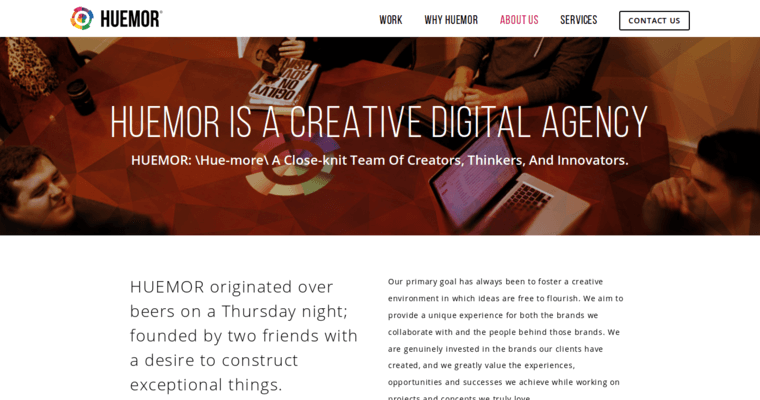 The digital services delivered by Huemor Designs include viral marketing campaigns. They are connected with people of influence, such as bloggers and popular members of the media. These connections allow them to spread news about a product or service as quickly as possible. Huemor Designs also helps its clients with email marketing and social media marketing services. Since most adults have at least one social media account and check it one or more times per day, social media is an ideal way for any business to promote its products or explain the advantages of their services. Huemor Designs is staffed by people who are adept with the latest technology. They take the time to understand the market niches of their clients and improve their digital reputations.